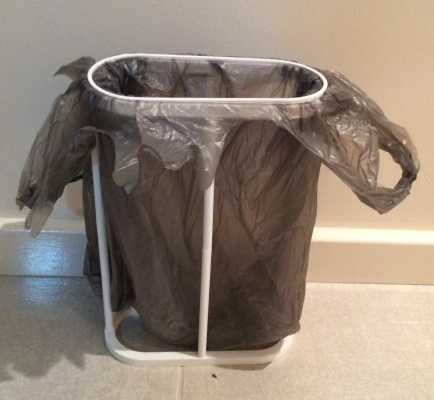 It's a bin designed for skinny areas that you need a bin in. 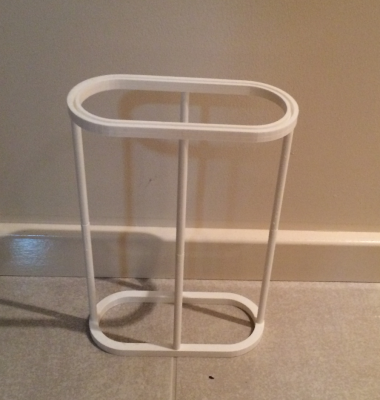 This was made to go in-between my sink and shower screen in the bathroom, but under a desk is good to save space. It comes in 3 parts; top, bottom and ring. The top and bottom pressure fit together and fit really nice. The ring also pressure fits into the groove on the top piece of the bin holding the bag in place. So you can put rubbish in without the bag falling in. 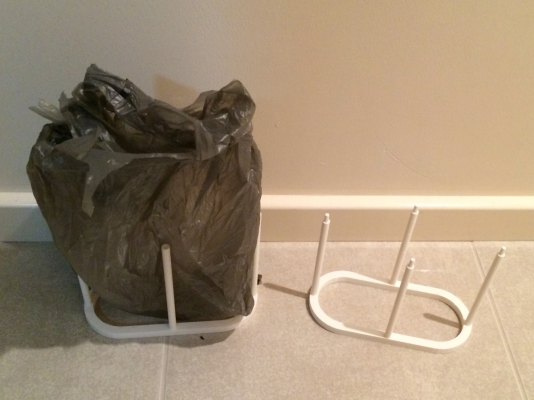 Once the bin is full take out the ring, tie off the bag and pull off the top piece to pull the bag out easily. Then new bag gets clicked in and you're ready to go again!